Which is better for my videowall or signage application? We feel that due to the technological advancements in the field LED Displays are an evolution of LCD displays enhancing the luminosity and video definition of the screen. Cold cathode lights are used as backlight in LCD displays. In LED displays all light emission is expelled from the LED’s themselves. Which has the best Viewing Angle? When viewing an LCD display the contrast ratio of the image will be diminished If the viewing angle of the display is wider than thirty degrees from the centre. LEDs have a wider viewing angle, meaning a clearer wider viewing angle from the sides, further enhanced by new SMD (Surface Mount Diode) technology. Which has the best Contrast? 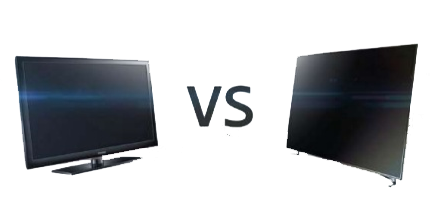 The Contrast and Black level degrees of an LED screen is superior to that of the LCD because the liquid crystals use to make up the screen in an LCD Display are not able stop 100% of the light emitted from the cold cathode backlighting and meaning that when black parts of the screen are shown, they will not be completely black. In contrast, LED displays have no backlighting and new manufacturing methods mean that even the SMD (surface mount) diodes are made in black providing the viewer with a truly black colour. Which has the best most economical power consumption? LED Displays consume less power than their LCD counterparts. LED’s do not generate as much heat as components used in LCD displays, this intern eliminates the need for extra cooling parts thus giving a greater power performance. Which are more environmental friendly? LED displays do not contain the mercury used in the cathode lamps in LCD displays so they are environmentally friendly. Generally LCD displays are replaced rather than repaired upon failure, this is not the case with LED displays where they are made to be easily maintainable and all parts replaceable and recyclable. The size of a videowall can be limited to the number of outputs on the player driving them along with the size of the screens which are only produced in certain sizes, in theory the LED videowall size it limitless due to their modular construction and of course they also benefit from the added bonus of not having bezel around each unit which is visible in the LCD videowalls, these bezel free LED panels make for a seamless wall of any size. Price is a major factor when comparing these two types of technologies. Although LED displays yield a higher price tag, they also boast a far cheaper running cost and a life expectancy far exceeding that of LCD, reflecting on overall cost efficiently in the long term use of LED displays.